Powerful image in more ways than one. I love the vintage look of this image Jamie! 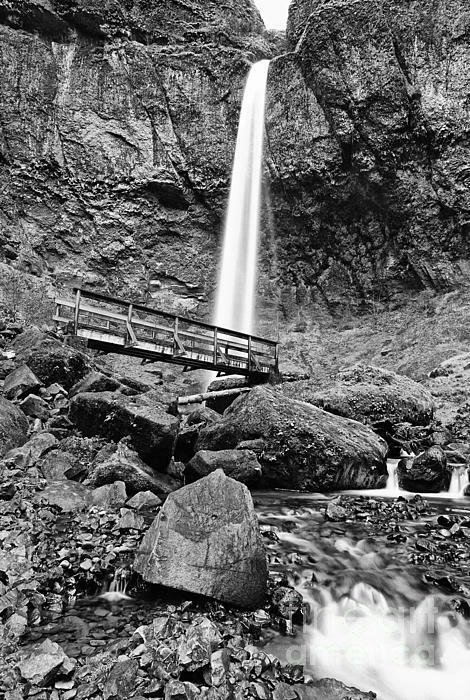 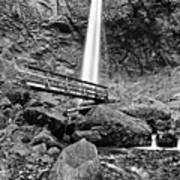 Scenic Elowah Falls with the wooden footbridge over the river from the Columbia River Gorge Scenic Area of Oregon. 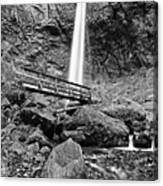 A rather large and beautiful waterfall, it is nearly 300 feet tall.